Sometimes there can be some devestating blows that can originate from that mysterious place, that unknown territory that many refer to as our blind side. We don’t know what we dont know. For those of us who would like to think that we have it all figured out and we’ve got all the bases covered, let’s set baseball aside and talk about another game….Football. In the 2013 NFL Draft, three out of the first four top picks were left tackles. A premier left tackle is a highly sought after asset on every roster. So much so, that they are generally the highest paid player after the quarterback. The left tackle’s job is to protect that quarterback because as that quarter back is staring down the field he is in a vulnerable position and needs somebody protecting his blind side. Games can’t be won with incompleted passes, lost yardage, or a sacked quarterback. The game of life is not much different. Everyone has a blind side. Discovering what lurks there or what may be lacking there can mean the difference between victory and defeat in our relationships, that next job promotion, or any important endeavor we chose to take on. Frequently, we are tackled by our own negative self-talk, baggage, and doubt and we are blind to the fact that our past is not our potential. Our potential exceeds our expectations. What we need is a means to draw out into the light the information needed to fill in the gaps. That 180 degree turn around can be found in little splashes of black ink on white pieces of paper that form words and are put into books. The Little bits of information that spark that life transformation can be found by reading. Make it a habit. Another way to discover the unknown is by listening to audios because testimony is powerful and by hearing stories of others “aha” moments we may also find ours. When I listen, I like to think as if the speaker is my best friend trying to reveal a secret to me. The very best way to learn is to have these bits of information coming to us on an ongoing basis. Leadership subscriptions enable us to have these bits of life changing information spread out over time so we get an on going stream of books , CDs and seminars. Information taken in small pieces over time provide the best, most permanent results. The LIFE Leadership organization provides this life changing information and association. Sometimes you may be the quarterback or somebody’s left tackle. 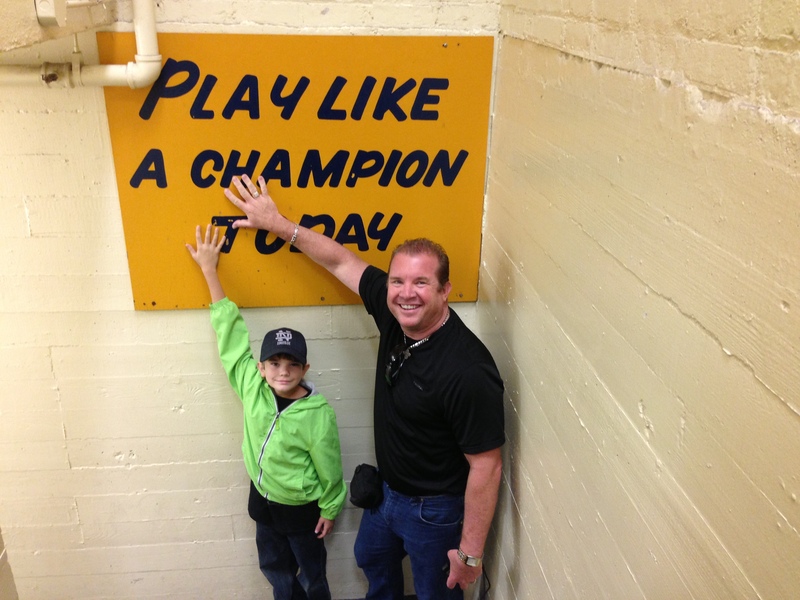 Whatever you do…..Play like a champion today. Make sure you and your teammates get to the big playoff competition next month in Fresno, CA, Milwaukee, WI, or Ottawa, ON(Canada). Power Player Top Gun competition winners will be recognized. Who will get that cup? This entry was posted on September 28, 2013 by Curtis Spolar. It was filed under Uncategorized . Great thoughts, Curt. What a wonderful analogy– the left tackle protecting the QB because of his blind side compared to having someone or a system that does that for us! How blessed we are to have that in Life and with you and Debbie. Thanks for always being there and always having been there–no matter what. God bless you. We are proud of you. Wow, I really like when you said that “… we are blind to the fact that our past is not our potential. Our potential exceeds our expectations.” because that really hits home for me. I believe in what you said about how cd’s, books, seminars, and Mentors help us to find our blind spots because I have personally experienced it.Specially mentoring because by having mentors like you (Debbie) and Curt, I have discovered some of my blind spots that I am correcting. Reblogged this on apologetics workshop. It’s amazing how simple the formula is. It’s like basic math. And yet, it’s in our nature, I think, to try to complicate it.